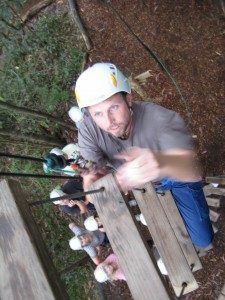 Keen to add Ropes Courses to your Amazing Race? We have over 40 Ropes Courses Australia Wide and work with the adventure expert lads at Bushsports Australia. Which can be incorporated into your Amazing Race, Team Building Activities and Team Development Days. We incorporate the most thrilling experiences and activities within your budget. To stretch the comfort zone and a better return on your team building and activities investment. Adventure activities and experiential learning programs go hand in hand. We facilitate the personal and team development components for corporate groups. Learn to face fears, take a leadership role and encourage colleagues to extend themselves safely.